Reallusion innovations in motion capture and character creation premiere at SIGGRAPH, from August 14 – 16 2018, Booth #406. Experience the new standalone character creation tool- Character Creator 3, the realtime motion capture solution- Motion LIVE and the debut of 3D Face Motion Capture with LIVE Face for iPhone X. Reallusion presents a total solution to build, morph, animate and gamify 3D characters. Character Creator 3 (CC3), the new generation of iClone Character Creator will separate from iClone becoming a professional standalone tool. 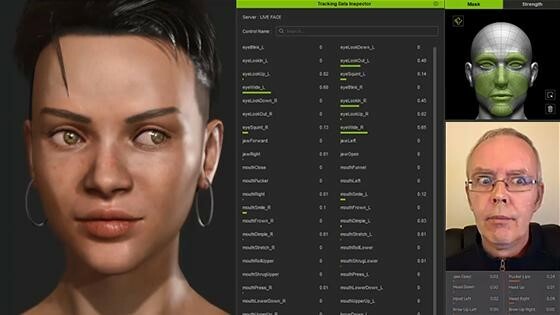 Character Creator 3 is a full character-creation solution for generating optimized 3D characters ready for game or intensive artistic design with a new quad base, round-trip editing with ZBrush and photo-realistic rendering using Iray. Reallusion debuts 3D Face Motion Capture with iPhone X with LIVE FACE app for iClone. Users can record instant facial motion capture on any 3D character with an iPhone X. Expanding the technology behind Animoji and Memojis, Reallusion lifts iPhone X animation and motion capture to the next level for studios and independent creators. Combine the power of iPhone X mocap with iClone Motion LIVE to blend face motion capture with Xsens, Perception Neuron, Rokoko, OptiTrack and Leap Motion for a truly realtime live experience in full body mocap. ● Fans looking to experience the full potential of Character Creator 3 are one step closer today as Reallusion kicks off pre-orders as the stand-alone tool for $199 MSRP.